Welcome! 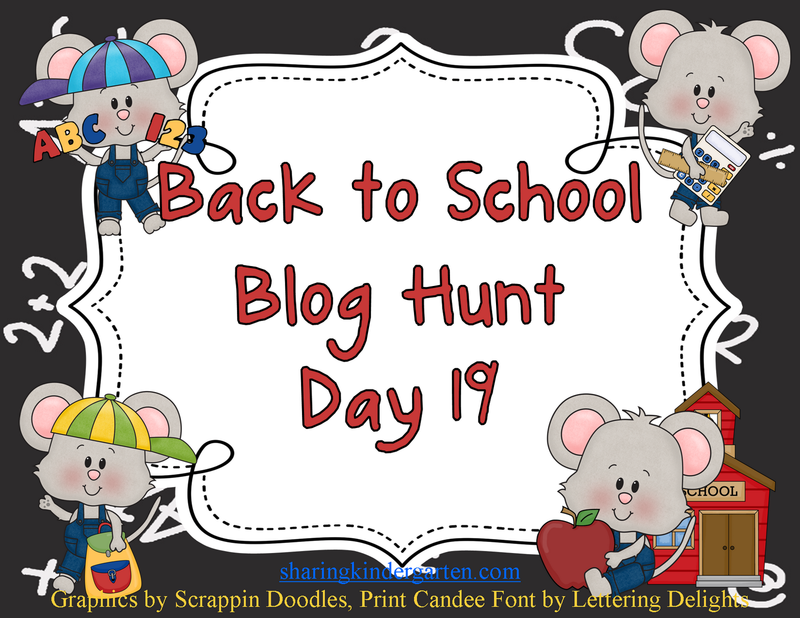 I’m so excited to be participating in the Back to School Blog Hunt! I’ve been back to work since August 1st. The teachers in my building have been back full time all week this week for professional development. Kids start tomorrow! I’m a big fan of doing writing activities at the beginning of the year. First, I think it’s the easiest way to get a quick gauge of your students. You can see their spelling abilities, which often translate to reading abilities in the primary grades. You can see their handwriting. You can identify those “I did it in 30 seconds and I’m DONE!” students. Plus, they’re usually something you explain in a few minutes, the kids begin working, and you don’t have to give a lot of direct instruction. I put together a writing stationary set. There are 7 different versions with different prompts. You can let students choose their own, or you can pick a few and do them across a few days. You can click on any of the pictures above to download the stationary from Google Docs for free. I also like when students start something at the beginning of the year and finish it on the end. It gives the students a chance to see how much they’ve grown. It also is something great you can send home to parents. I created a Year Book to do just that! On the first day of school, students draw a self portrait and write their name. They also complete a short survey answering a few questions about themselves and what they like and aspire to be. Throughout the year students create additional self-portraits. There are pages for each month, or you could do it just a few times throughout the year. There is also a survey for the last day of school. At the end of the year, have students design their cover, then laminate it, bind the book, and send it home! You can click on any of the pictures above to go on over to my TpT store to download the file for free! I hope I’ve given you a few resources you’ll think about using to start off your year! If you’re new to the blog hop, click the links below to check out the posts you’ve missed. If you’re finding this post a bit after the fact, make sure you go and check out all the great freebies and ideas! Thank you for these writing papers- they are so cute! Tessa, thanks so much for sharing the writing templates. Cute, cute, cute! The writing templates are adorable! Thank you for sharing your hard work, the kiddos will love these! WOW!! You knew just what I needed and was looking for! THANKS!! Smiles and stop by anytime! Have a soaring and fantastic year! I'm glad it came at a good time for you! Thank you so much for sharing. 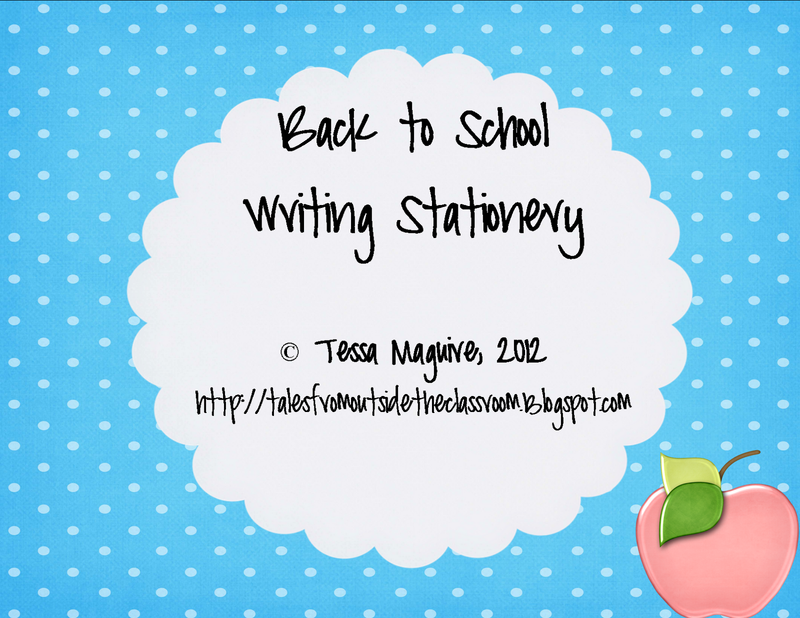 Can't wait to use the stationery in my classroom! Thanks for the book freebie!